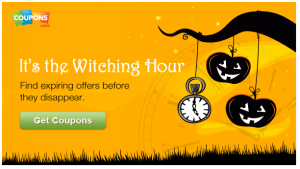 Coupons EXPIRING at the end of the month! We are quickly getting to the last of the month and that means all the good coupons will be gone. This weekend will be super busy I am sure and with Halloween we will be distracted early next week. print some of your favorite coupons now so you have them. Many wont expire for a month.